I don’t usually read that genre, but… – . How much do you read according to genre? I’ve been mulling over this for a while now, and especially recently, when I read Up and In, by Deborah Disney, a novel that’s been on my list for a while. I’d met Deb at a HarperCollins author lunch last year, both of us newbies to the publishing worlds. We found each other by the drinks table — as you do — and hung out together over a glass of white. She was great company, and we shared stories of finally getting a book accepted: excitement, amazement, terror and anticipation. Now that’s a comment I’ve heard so many times in comments about The Anchoress: ‘I don’t usually read historical fiction, but …’, and I realise how much a genre label can influence expectations of a novel. I had never thought of myself writing within a genre, only writing a story about people and places from the past. I know, though, that every genre will come with some expectations, and I tend to do the same thing. But fortunately for me, last year’s reading took me into territory I wouldn’t normally tread, as I prepared for panels shared with other authors at writers’ festivals. For Perth Writers’ Festival, I read Half a King by Joe Abercrombie — historical fantasy, perhaps — and not a book I’d ordinarily read (there it is again). But … I was surprised, and I enjoyed it so much that I went on to read the sequel, Half the World. Again, it was the nuanced portrayal of character, and the energy of the writing that I especially liked. I thought again about those comments a couple of weeks ago when I heard the replay of Kazuo Ishiguro talking about his latest novel, The Buried Giant, set in an Arthurian landscape. A real fuss unfolded in response to his concern that readers would pre-judge his work: ‘Will they understand what I’m trying to do, or will they be prejudiced against the surface elements? Are they going to say this is fantasy?’ In the interview, he suggested that genre borders are breaking down, and that’s a good thing: ‘I think genre rules should be porous, if not nonexistent.’ I especially appreciate his comment that the ‘metaphorical landscape’ allows him to make universal points. I haven’t yet made it to Ishiguro’s book, but I have read Michel Faber’s The Book of Strange New Things, described on his site as ‘genre-defying’. It’s about an evangelical pastor who travels to a newly colonised planet to minister to the native inhabitants and I hesitated ­— but not for long, because I love Faber’s writing. Still …. space travel, alien creatures? Sounds like sci-fi. Really? It is about a strange planet, yes, but that setting is like Ishiguro’s metaphorical landscape, allowing Faber to explore, among other things, what it is to be human, to love, to be separated from a beloved, and the hopes of healing. Quietly, slowly, the alien world brings the reader profoundly home. Its genre? That doesn’t really matter. 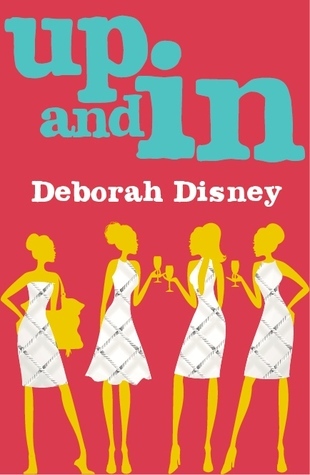 So, I’m not suggesting that I’ll begin searching out chick lit novels or historical fantasy, though I’ll definitely read Deborah Disney’s second novel when it appears. But I’ll try not to pre-judge a book by its genre label. What about you? I’d love to know if you’ve been surprised by a book that has played outside your genre expectations. Haha Robyn, I didn’t read this before I read your book and wrote my review! But you’re right, genre can set up all sorts of expectations that reassure and comfort those who love to have their expectations met, but frustrates those of us who want to be challenged. I don’t mean to be snooty about this. It’s more to do, I expect, with why we read – for “pure” escape or to be puzzled, surprised, challenged. Some readers do ought, choose genre for the former and “literary” fiction for the latter but for me “.literary” fiction IS escape – which complicates the matter further. What do we mean by escape? Anyhow, all this is to say that I have found myself reading more genre books in recent years – historical fiction, chick lit (mainly Toni Jordan and an Anita Heiss), even, heaven forbid, crime. A genre that I probably almost never stray into is fantasy, though the odd sci fi can also attract me. The books I’ve most enjoyed in these genre areas are those that play, as you say, outside the genre label. Yours of course, if played to genre, would have gone a very different way, narratively, to the way it did. Toni Jordan’s chick lit heroines in Additon and Fall Girl are not at all true-to-type which gives her books their edge. Clearly I should stop saying “I don’t read [name of genre]”! Ah, I’d forgotten I’d written this! It’s a fascinating topic, WG, isn’t it? I’ve read the theory that commercial or genre fiction develops action but doesn’t pause along the way, whereas literary fiction pauses to develop character, place, ideas, atmosphere, etc. An interesting thought, but I’m not entirely convinced. I think you’re right about some people preferring to read novels that reassure and comfort, whereas I (and you, no doubt), prefer to be unsettled and challenged. Hilary Mantel has written that she struggled to get any interest at all in her first novel, A Place of Greater Safety, because it was assumed to be historical romance — though she, along with some others, has managed to shift expectations of historical fiction, thank goodness! I haven’t read Toni Jordan, though she’s such a wonderful speaker that I’d love to read something by her — when I can! And on long car trips, I’ve stumbled into some great crime on audio books: Val McDermid and Peter Temple especially. And Phillip Pullman’s His Dark Materials is labelled young adult and fantasy, but they are some of the most insightful books I’ve read. Perhaps a literary diet should be like nutrition: varied and balanced! No I’m not sure I’m entirely convinced either though I suspect there’s a general truth there. To me the main marker of genre is formula, is meeting readers’ expectations. I have read two Temples and enjoyed them both. My daughter loved that Pullman series. She was in her teens, but I gathered they are complex and much enjoyed by adults too.